Tick control for cats has always been a tricky problem. Cats are such sensitive creatures, and most of the products that have been developed for dogs are either toxic to cats or don’t work very well. But a new product has just come on the market this year, Bravecto® topical. And as an added bonus, it also takes care of fleas. Why Bravecto as tick control for cats? Bravecto is a very convenient topical because it only has to be applied every 2 months for ticks or every 3 months for fleas! For cats that go outdoors, or live with dogs that do, we strongly recommend flea and tick control all year. We’ve seen ticks on our feline patients even in the middle of winter. So although maybe Fluffy just helps you garden on weekends, because of the mild winter we had in central Maryland this year, the concern for ticks is even greater than ever. To help reduce cost to clients who want to try Bravecto, we have a rebate coupon which you can use if purchasing multiple doses. You don’t even have to buy all the doses at once, so you can spread your costs out over several months time. Unfortunately, there is still no product that controls ticks, fleas and heartworms. And since heartworms are transmitted by mosquitoes, even indoor cats are at risk. Testing for heartworms in cats is not nearly as straightforward as in dogs. A cat can die from a heartworm infection with only one or two worms, which may not be enough for our current tests to detect. This makes it likely that a cat may test negative even while infected. So, prevention is key. If your cat has limited exposure outdoors, we recommend monthly topical Revolution because it controls intestinal parasites and fleas in addition to preventing heartworm infection. Does your cat spends more time outdoors? Bravecto can be combined with Revolution to prevent heartworms as well as ticks and fleas. Will your cat eat an oral chewable treat? Perhaps Heartgard, used in combination with Bravecto is the best option for you. Heartgard doesn’t control as many intestinal parasites as Revolution, but it does control heartworms. Below is a summary of the products we carry or recommend for parasite control. 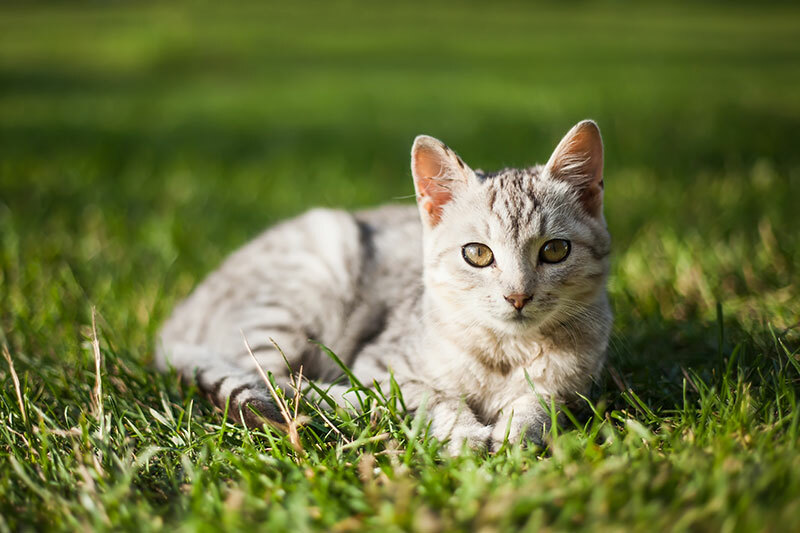 Whether your cat roams the woods and fields around Germantown, Clarksburg or Boyds, or just hangs out in your house, please talk to us about your cat’s individual life-style so we can help with the decision of parasite control for your cat.